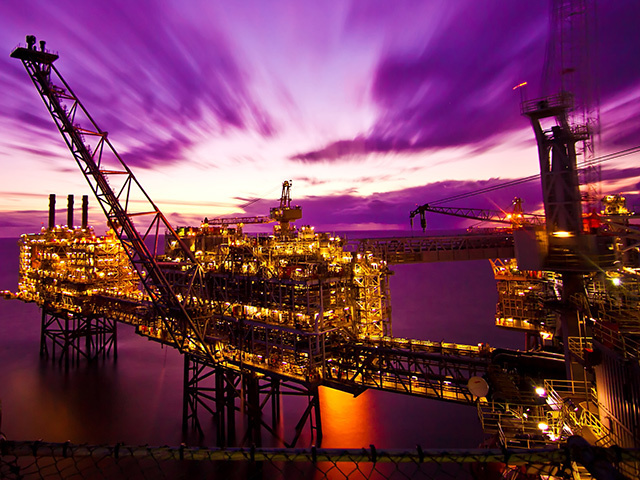 UK North Sea operators’ zeal for production eclipsed efforts to add new reserves to the basin’s hydrocarbons basket last year, a new report said. Companies pumped out 600 million barrels of oil equivalent (boe) in 2017, while 400m boe were added to the proven and probable (2P) reserves base, the Oil and Gas Authority (OGA) said. The regulator said 2P reserves – those which have a better than 50% chance of being technically and commercially produced – stood at 5.4 billion boe at the end of 2017, compared to 5.7bn boe a year earlier. Gunther Newcombe, OGA operations director, said North Sea firms had to attract additional investment, commit to drilling, implement technology and collaborate to deliver a successful future. The OGA stuck to its headline estimate for remaining recoverable reserves and resources of 10-20bn boe, which is enough to sustain production for the next 20 years and beyond. The range accounts for producing fields, undeveloped discoveries and mapped leads and prospects. Mr Newcombe said lower operating costs and higher oil prices were helping companies prolong output from their fields, justifying the estimate. Of the 400m boe added to 2P reserves, 100m boe came from new field developments and 220m boe came from field-life extensions. Infield activities contributed the remaining 80m boe, according to the report, titled UK Oil and Gas: Reserves and Resources as at end 2017. The term “reserves” is used to describe discovered, remaining volumes that are “recoverable and commercial”. “Resources” are quantities of petroleum thought to be potentially recoverable from known accumulations, but the conditions needed to make them commercial have yet to be achieved. The North Sea contained contingent resources – those with a better than 50% chance of being technically produced – of 7.5bn boe at the end of 2017. Of that total, 3.2bn boe was attributable to undeveloped discoveries where no activity is currently being proposed. Seven new discoveries were made in 2017, adding 181m boe to the contingent resources hopper. In 2016, four new discoveries contributed 210m boe to the contingent resource base. The approval of field development plans in 2017 resulted in 100m boe being upgraded to reserves from contingent resources. Mr Newcombe said the OGA had an important role to play in revitalising exploration and maximising economic recovery. Drilling activity has reached record low levels in the UK North Sea in recent years. In its 2018 Economic Report, Oil and Gas UK said 23 exploration and appraisal wells were drilled in 2017, a decline for more than 50% compared to levels recorded five years ago. The industry body predicted 10-12 exploration wells and 7-10 appraisal wells would be drilled this year. Last month, Alex Kemp, professor of petroleum economics at Aberdeen University, and colleague Linda Stephen, predicted a huge improvement in the UK North Sea’s prospects. Production could reach 14.8bn boe from 2018-50 based on a crude price of $60, they said. It represents an increase of about 4bn boe compared to an estimate made by the authors in early 2017, also based on $60 oil.